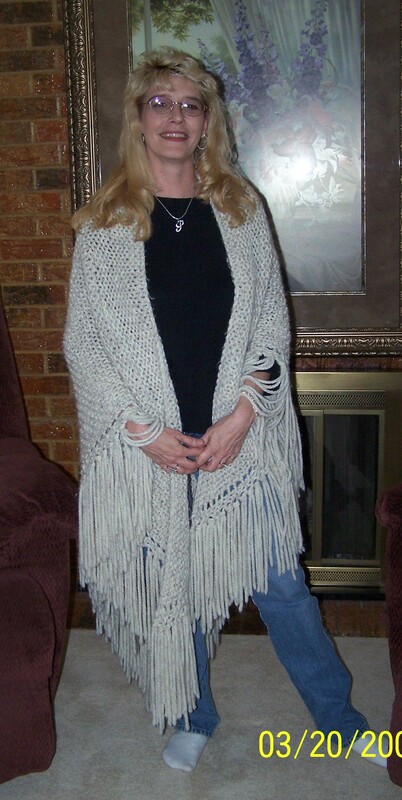 Posted on November 21, 2008	by Linda S.
I love shawls. I’m told that I look like an old woman and should never wear one, but I love them just the same…lol My favorite knitted piece that I have completed is the Dishrag Shawl that my daughter loves. Anyway…. This entry was posted in Crafts, Free Patterns, Handcraft, Handwork, Knit. Bookmark the permalink.